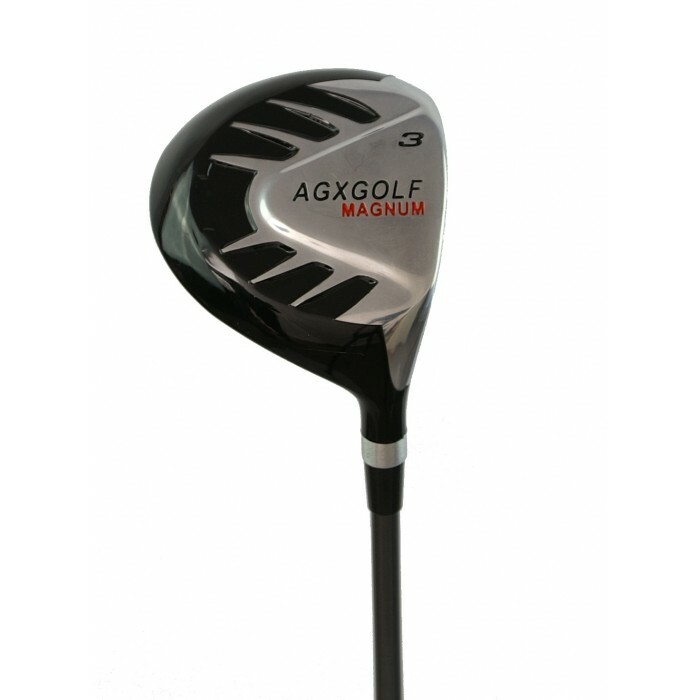 AGXGOLF SENIOR'S MAGNUM 460c DRIVER+FAIRWAY WD+HYBRID IRON wSENIOR FLEX GRAPHITE SHAFTS, RIGHT HAND ALL LENGTHS: BUILT IN THE USA! 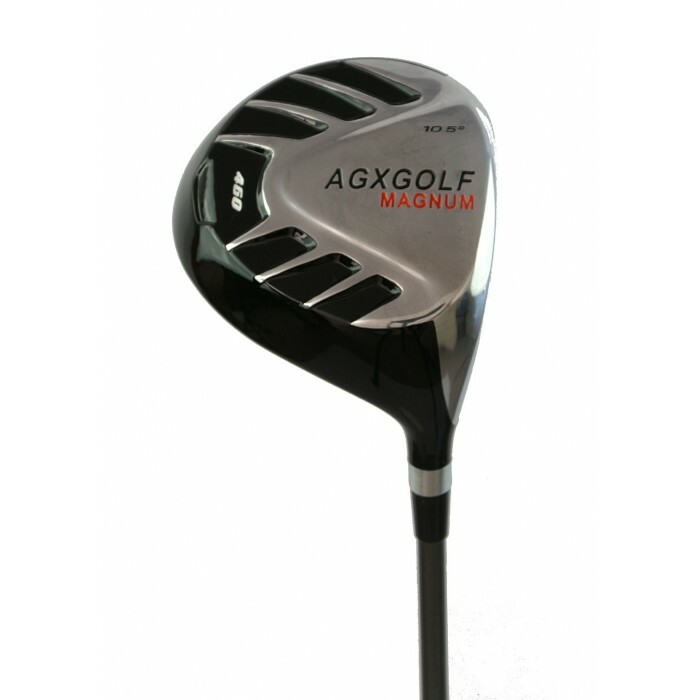 Home » SENIOR'S GOLF CLUBS » Seniors Drivers, Fairway and Utility Woods » AGXGOLF SENIOR'S MAGNUM 460c DRIVER+FAIRWAY WD+HYBRID IRON wSENIOR FLEX GRAPHITE SHAFTS, RIGHT HAND ALL LENGTHS: BUILT IN THE USA! !! BUILT IN THE USA !! THE SAME COMPANY THAT BRING YOU THE MAGNUM and BALLISTA GOLF CLUBS HAVE DESIGNED THE MAGNUM SENIOR MEN'S EDITION WOODS & HYBRID SET.! The Manufacturer's Suggested Retail Price for this set is $199.95; Your price is MUCH BETTER!! Set includes One year Manufacturers WARRANTY!! 3 WOOD: (15 Degree) Optimized Profile Head to get the ball up out of tight lies and thick ruff and a "LONG WAY DOWN THE FAIRWAY"
MATCHING HEAD COVERS for all 3 Clubs. 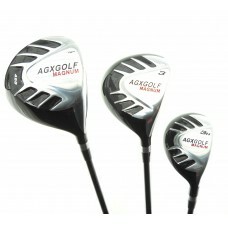 This set of golf clubs from AGXGOLF is an ADVANCED full technology package!! This club head design technology, plus the SUPERIOR HIGH MODULUS Graphite Shaft Technology produces a club with awesome swing speed and distance. The Hybrid Iron gives you the Distance of a Wood with the Accuracy of an Iron!! What makes this Set so effective is the Physics behind them: Having the weight distributed to the perimeter of club head increases the moment of inertia; this reduces the torsional rotation of the club head. Simply put: the club head is more likely to come through the ball "square" and that means more straight shots and less hooks and slices!!! 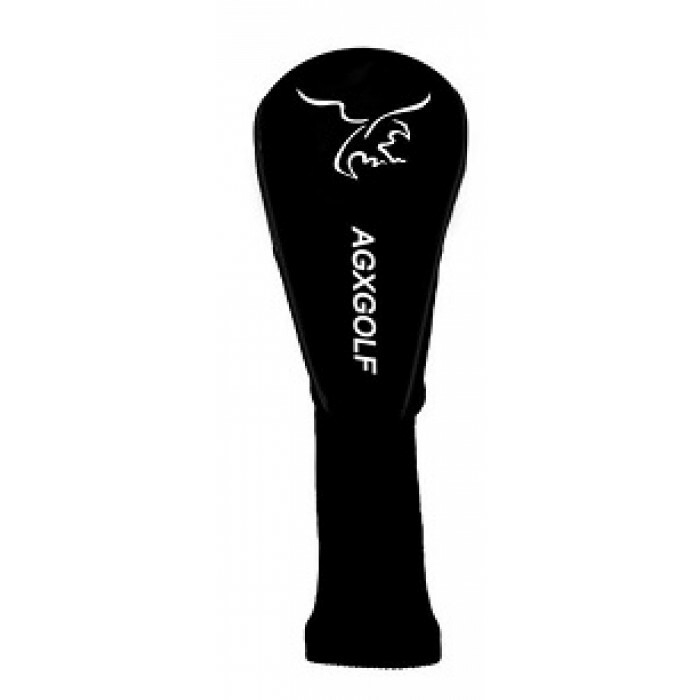 Sharp design with technology for season after season of excellent golf, you will be proud to have these in your golf bag!! We are very VERY pleased the styling and craftsmanship of these golf clubs"! And that's the best combination there is!! 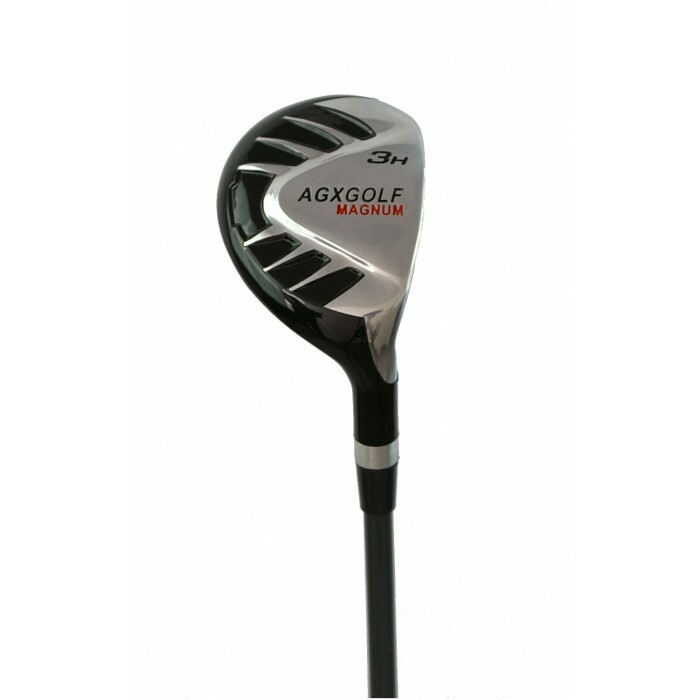 Although these woods are intended for medium handicap golfers, beginners who don't mind starting out with an advanced clubs will find that these clubs are easy to learn with! These sets are built in our Highland, Michigan facility AND YOU CAN SEE FROM OUR FEEDBACK THAT WE BUILD QUALITY!! These sets are Built from scratch...top to bottom; to for a Senior's swing profile: Fit, Flex and Feel!